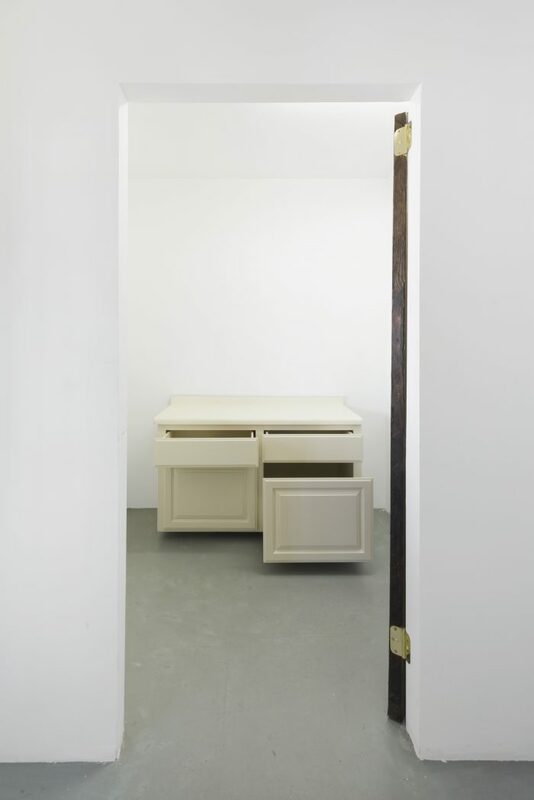 The exhibition is conceived as a series of doors, walls, and portals to individual rooms. 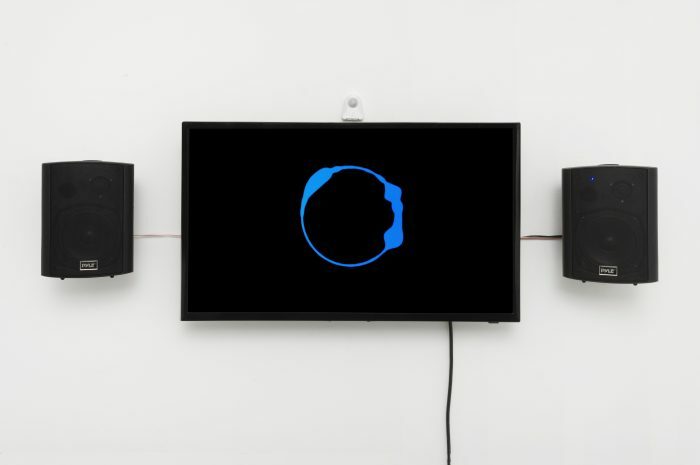 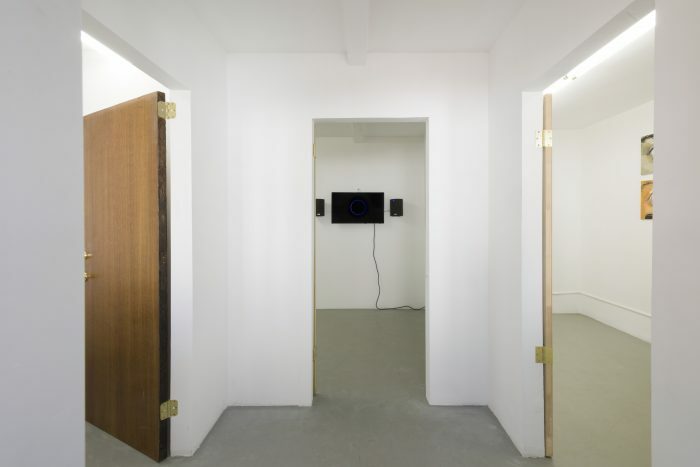 In the style of an amusement park or a first-person video game, Keil has constructed an environment within the gallery that modifies the space into a partially domestic and interactive setting. 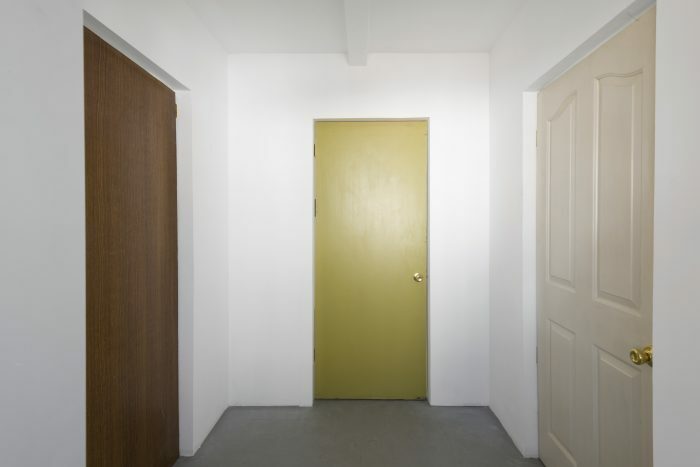 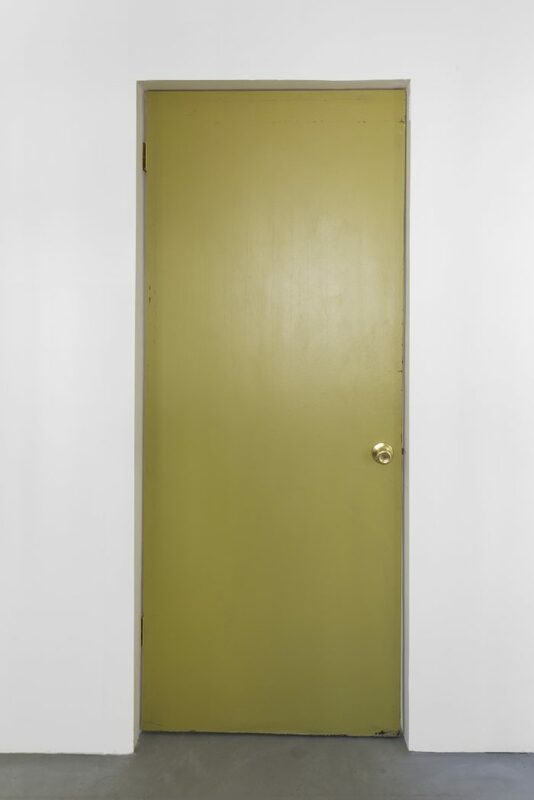 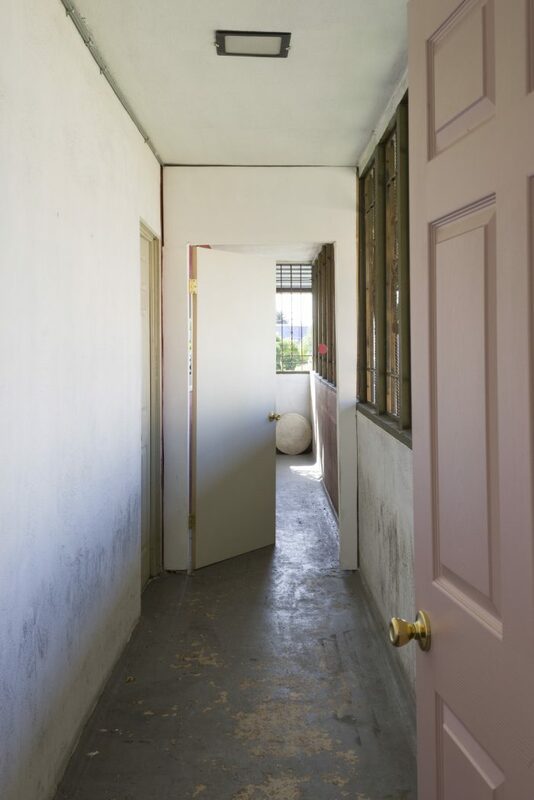 Upon entering the gallery through the hallway, one is confronted with a series of doors and the opportunity for choice. 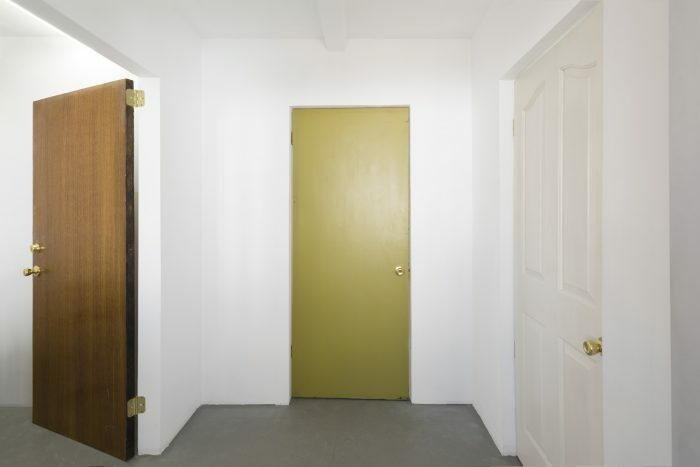 Behind each door is a unique element, and it is up to the viewer to decide which rooms they would like to enter. 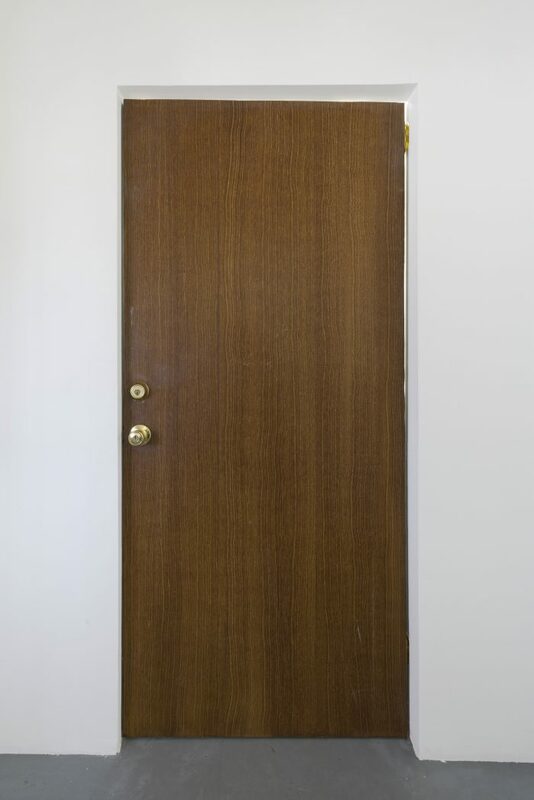 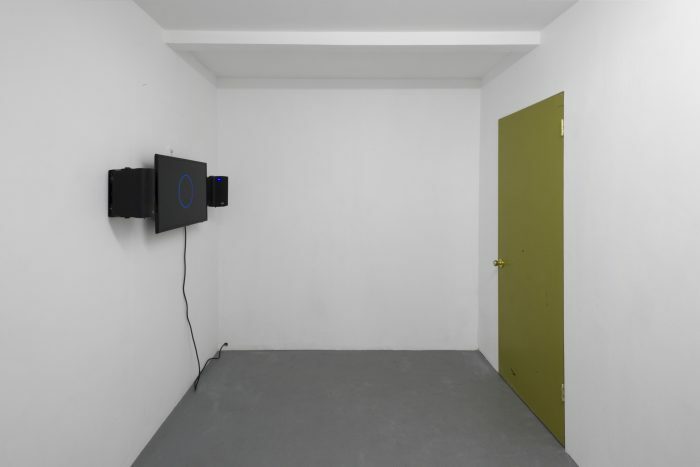 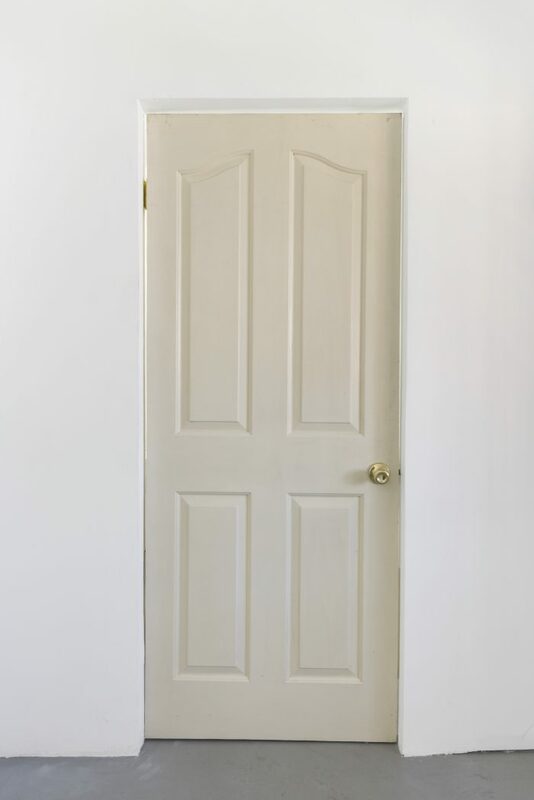 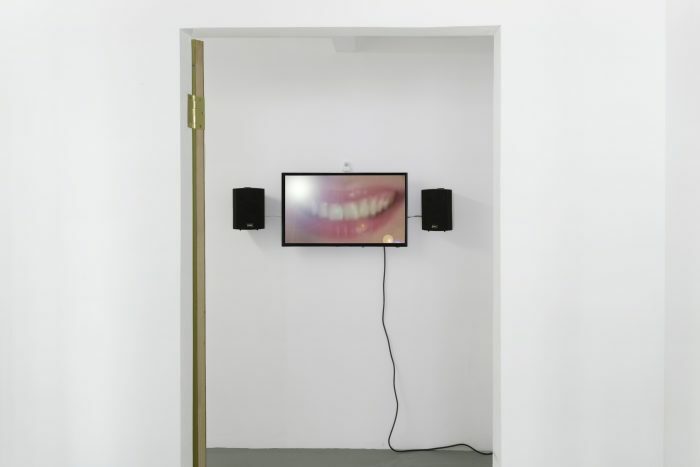 The video piece behind one of the doors is activated by a motion sensor, and the sound element is only switched on when there is physical presence in the room. 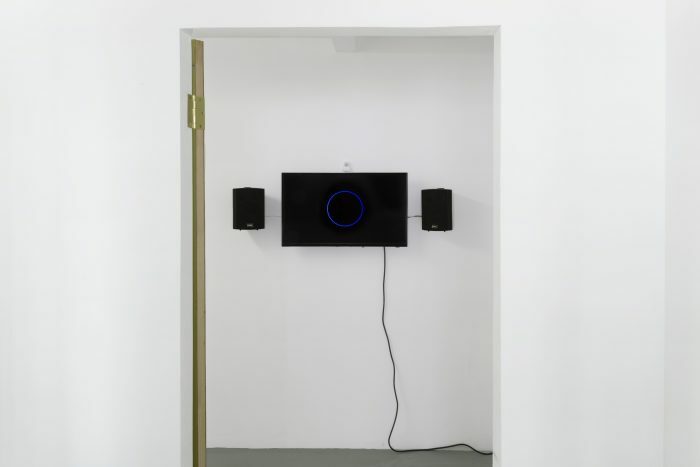 With the computerized female voice and the glowing blue circle of the Amazon home automation product Alexa, the video asks a series of questions followed by silence, glitches, and the occasional presence of flickering eyes, a search engine and a gaming controller. 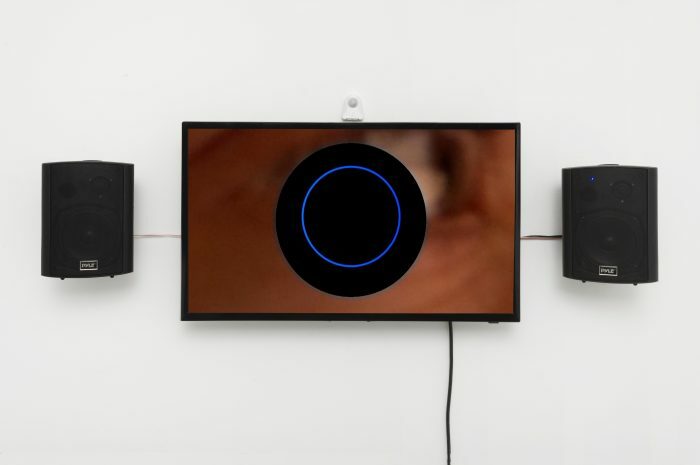 As a product created for the purpose of assistance and ease in the domestic setting, Alexa asserts a type of control through care. 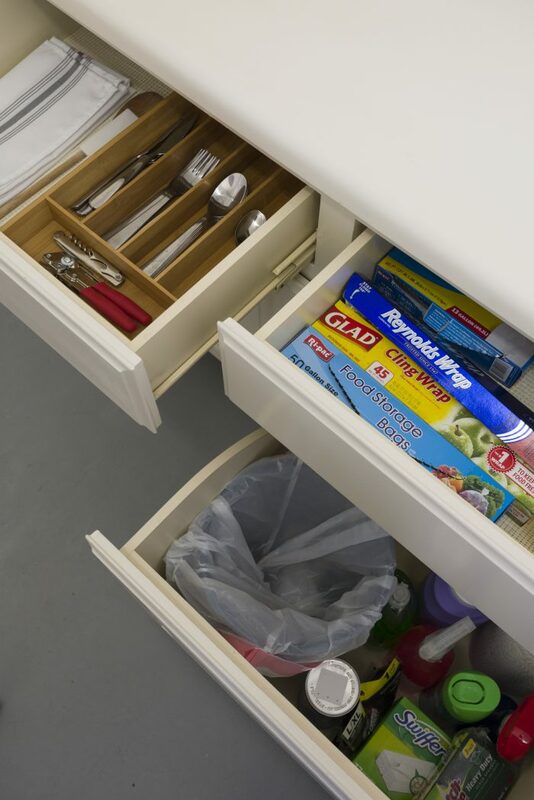 Behind a second door is a sterile kitchen cabinet, seemingly unused and filled with typical cleaning products and cutlery. 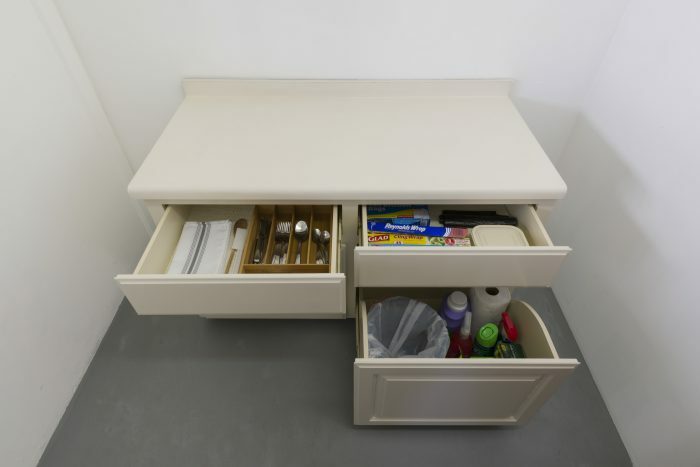 The piece of furniture is kept to a standard of cleanliness and lacks human interaction in the form of fingerprints, stains, or dust, as if the Alexa is also in charge of everyday chores. 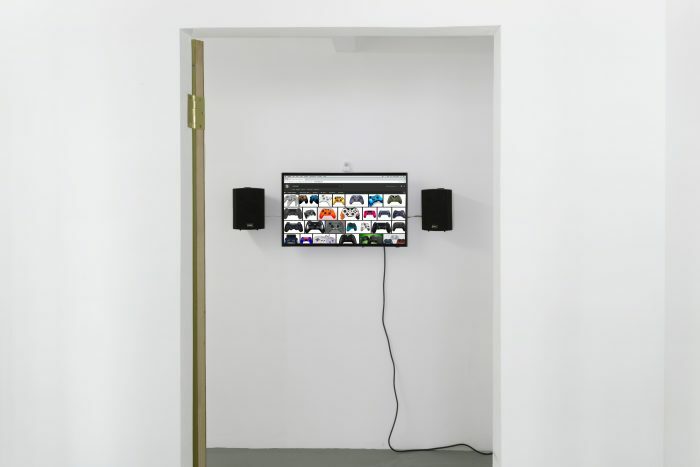 Domestic control reaches the level of sterility in an idealized, automated “smart” home environment, negating the human touch. 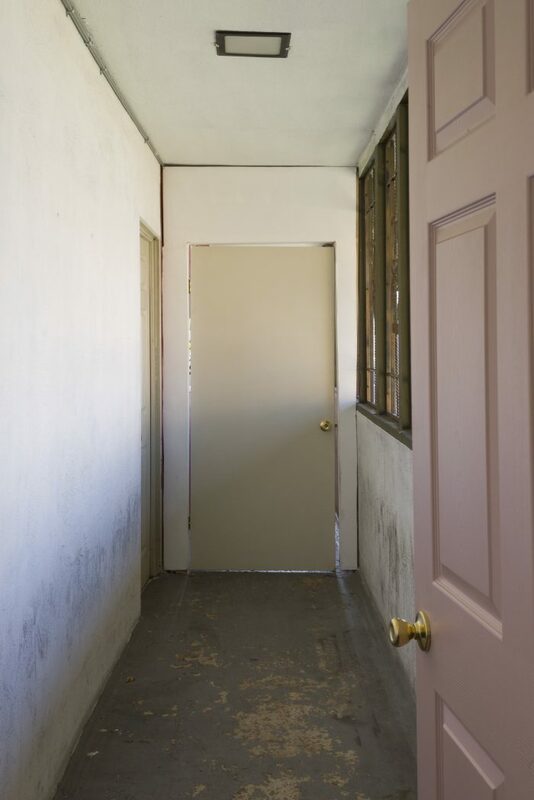 The third door contains the gallery office and a series of oil paintings. 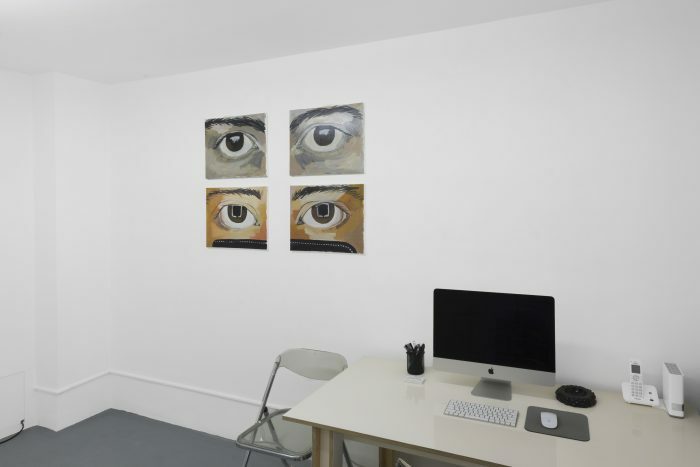 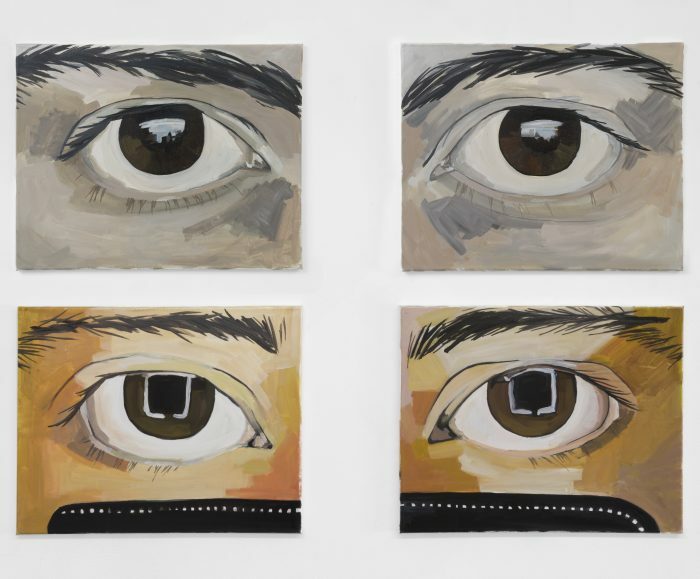 Positioned above the desk and computer, the four paintings of eyes serve a more authoritarian, all-seeing form of control. 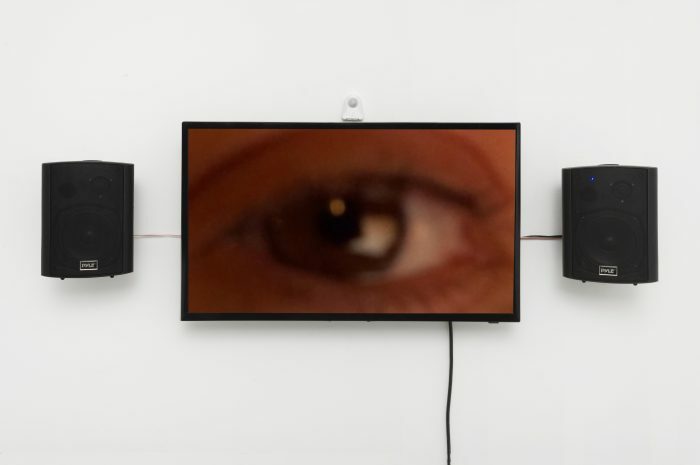 Each eye reflects a screen from a phone or computer, and are varnished with a glossy surface to become reflective as well. 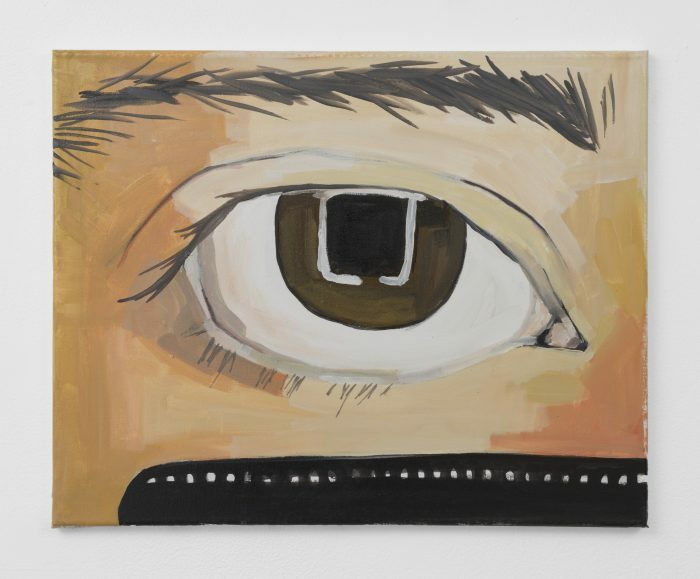 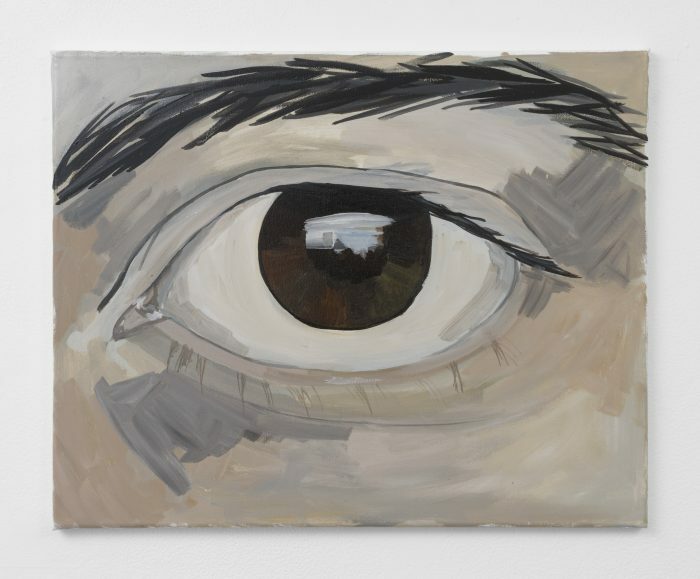 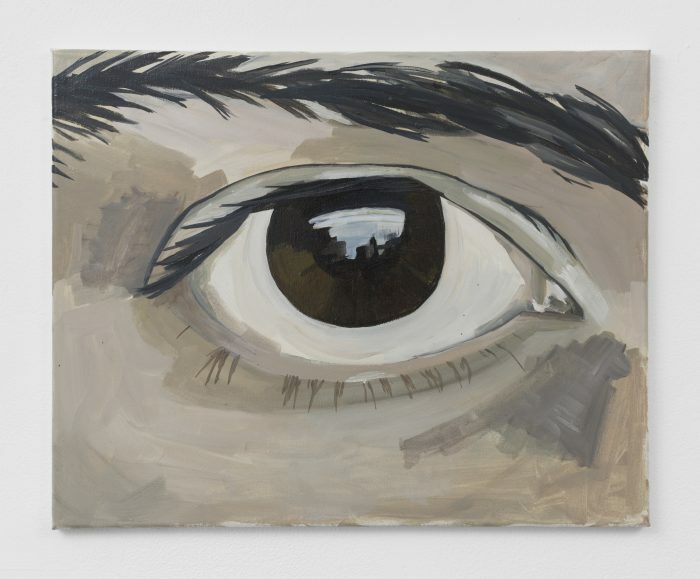 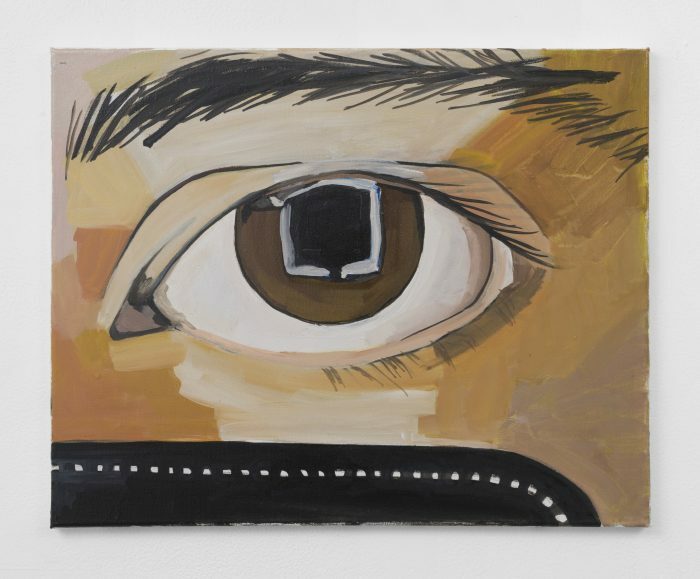 The imagery for the paintings refers the artist’s eyes but also to the logo of Big Brother, a long running reality show in which the contestants are constantly monitored and watched. 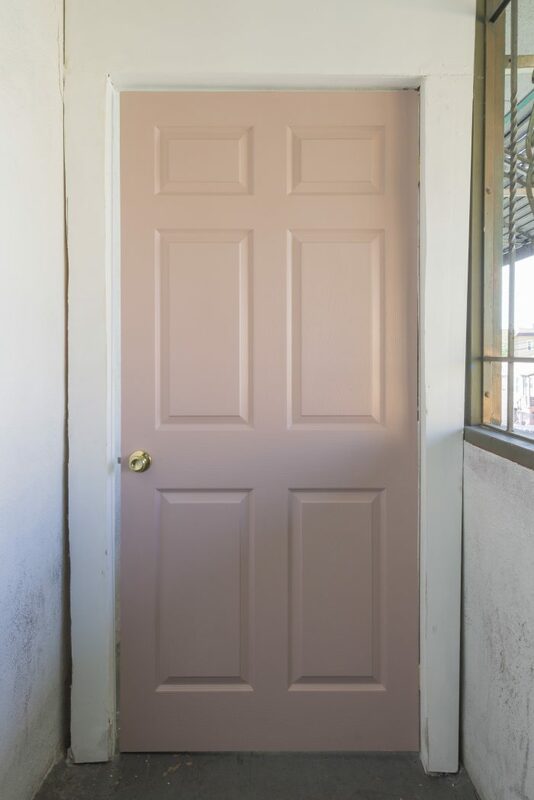 © Jenny’s, Los Angeles CA U.S.A.